Whether you have a planned surgery for a recurring wrist condition or an unexpected fracture that requires an operation, there are a few actions you can take to prepare for your recovery. Knowing what to expect is the first step. Immediately after surgery you can expect to experience some pain and swelling. Although this will continue over the next few weeks, it will subside over time. You will also probably need to participate in physical therapy to help regain range of motion, strength, and flexibility. Although you might be tempted to return to normal activity as soon as possible, it’s important not to do too much too soon to avoid injuring yourself again or impeding the progress of healing tissues. 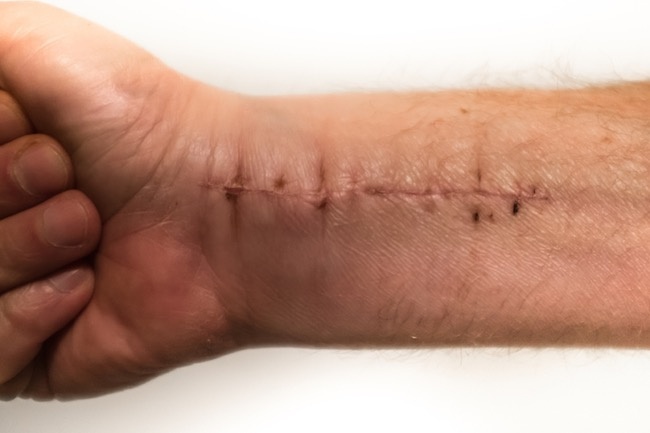 Now that you know what you will likely go through after wrist surgery, think about what you can do to prepare for the recovery process. Talk to your doctor - Every surgical procedure is different, so it’s important to speak with your physician about how long the recovery process is likely to be and when you can expect to resume full activity. Having realistic expectations can help you get through the discomfort and also help ensure that you don’t overdo it. Pre-fill prescriptions - If your doctor is prescribing pain medication for the period immediately after wrist surgery, ask about pre-filling your prescriptions so you will have them readily available. Set up a rest area - The healing process consumes a lot of energy so it’s important to get ample rest during wrist surgery recovery. Set up an area that will allow you to comfortably elevate your hand, both while awake and while sleeping, to help reduce swelling. Usually a few pillows can be arranged to ensure that you keep your hand above the level of your heart. Arrange cryotherapy treatment - The combination of cold therapy and compression is proven to help accelerate the healing process, reduce reliance on pain medication, and contribute to an overall more comfortable recovery. Therapeutic cold helps dull pain and slow down cellular metabolism, while active compression pumps edema (swelling) away from the surgical site. Talk to your doctor or physical therapist about renting a cryotherapy machine during your wrist surgery recovery so you can get treatment multiple times a day from the comfort of your own home. Game Ready is a patented system that simultaneously delivers therapeutic cold and pneumatic compression through specialized wraps that conform to the body. We offer a fully integrated hand/wrist wrap to ensure that your joints stay in the correct position during treatment. Ask your physical therapist if they offer Game Ready in their facility, or ask your physician if you can rent a system to use at home. The wrap is easy to apply and the system comes pre-programmed so all you have to do is fill the ice reservoir, put on the wrap, and start the machine. Contact us today or find a provider near you to learn more.